Are you stressed? Let’s hope so! metabolism, exercise performance and recovery. the more immediate effects on the body in general. on the brain. It’s also an area that just generally interests me more, so let’s talk about that first. one of the mechanisms by which cold exposure may improve mood. decrease the total surface area by which the blood is able to lose heat to the environment. release. We will return to the topic of pain, metabolism, and inflammation in a moment, however. addition to that, there’s a class of proteins that are specific to the cold: cold shock proteins. categories of genes are increased upon cold exposure. and increases in activity greatly upon even mild cold exposure. hibernating animals. It’s also been shown in laboratory mice, which are not hibernating animals. humans. We have it too! to regenerate those damaged neurons. two weeks but also for an additional six weeks after that. as Alzheimer’s disease and Parkinson’s disease and also after traumatic brain injury. neurodegenerative diseases, as well as brain aging in general. question is how much does core body temperature need to be lowered to activate RBM3? supplementing with it also has an effect of lowering core body temperature. 96.1°F (35.6°C). This just goes to illustrate how attainable this level of cold shock is. tissues damaged from the original insult and the inflammatory process, and to initiate tissue repair. However, when this process runs awry, in the absence of actual biological threat, we’re in trouble. capabilities across ALL age groups. of its other roles. One of the roles norepinephrine may also play is in reducing inflammation. immune cells and may play a role in rheumatoid arthritis. back to that in a moment, however. the cold­induced reduction in inflammatory cytokines mentioned a moment ago. down collagen, and it also decreased the production of inflammatory E2 series prostaglandins. shown to alleviate pain in human and animal studies. brain’s immune cells known as microglia. This is bad. is otherwise a major contributor to aging in general, but in this case, the brain in particular. also want to point out that the immune system plays another important role in the aging process. quiet unless there is a good reason to be loud. immune cell that kill viruses and tumor cells. and functions to state definitively what this all means, though. Taking ice baths has been popularized, in part, due to the effects of the cold on weight loss. and, in the process, burn fat. This process is referred to as cold thermogenesis. muscle contractions are what actually increases the energy metabolism. after the body has adapted to cold exposure. by anywhere from 2 to 5­fold, depending on the intensity of the cold and length of the exposure. positively charged on the outside. Mitochondria are a little bit like batteries in that sense. as a byproduct of this process. mitochondria make the fat appear brown when looking at it under a microscope. active field of clinically applicable research for the treatment of obesity. detected in ~25% participants compared to 50% if BAT was sampled during winter. (14°C) increased metabolic rate by 350%. tissue we might expect to occur. actually a normal product of energy metabolism and, in a way, is a natural part of being alive. increased another potent antioxidant enzyme called superoxide dismutase by ~43%. an increase in activating these powerful antioxidant enzymes. ● the timing of the cold stress in relation to the exercise. that indicates that these specific immune cells are also likely involved in satellite cell migration. that results from strength training. immune cells, preventing them from causing excessive tissue damage. immune activation before that point is probably a good thing. and recovery is the type of activity we’re trying to optimize for. production. In other words, aerobic activities have a greater need of supporting mitochondria! performance that have shown up in the scientific literature and been discussed in the media. But what does the literature actually say about cold shock and exercise performance? squat jumping session) were also improved. associated with hypertrophy, including the activation of satellite cells. difference in hypertrophy between legs afterward. literally any point other than immediately after strength training? cryotherapy, cold­water immersion, or even the use of cold packs. We just talked a lot about strength training in the context of cold­water immersion. Cold exposure activates a gene called PGC­1α, which makes more mitochondria in the muscle. process. If mitochondrial biogenesis is the orchestra, then PGC­1α is the conductor. occurring in their muscle tissue. more glycolytic (glycolysis is a process that produces energy that does not require oxygen). cells to show characteristics of type I muscle fibers, such as a greater resistance to fatigue. have a higher capacity for hypertrophy. process (IL­1ra) at both time points. that norepinephrine helping with focus and attention. training period. That sounds awesome. fits into this area is the topic of muscle atrophy. course, have to be especially capable at resisting the effects of cold during the winter. atrophy than would be expected for such a long period of fasting and general inactivity. in multiple organisms and may be serving as a generalized mechanism for decreasing atrophy. black bears that is in concordance with protein synthesis during their hibernation. “reloading phase” that followed a week of forced immobilization (atrophy). immersion? The answer is probably not. 1.) Thermal conductivity. This is essentially how well heat is extracted from the body. 2.) How much of the body is exposed to the cold (surface area). shines because the air temperature can be as low as ­289°F (­178°C). That is cold. the cold water for much longer time periods than cryotherapy air temperatures. 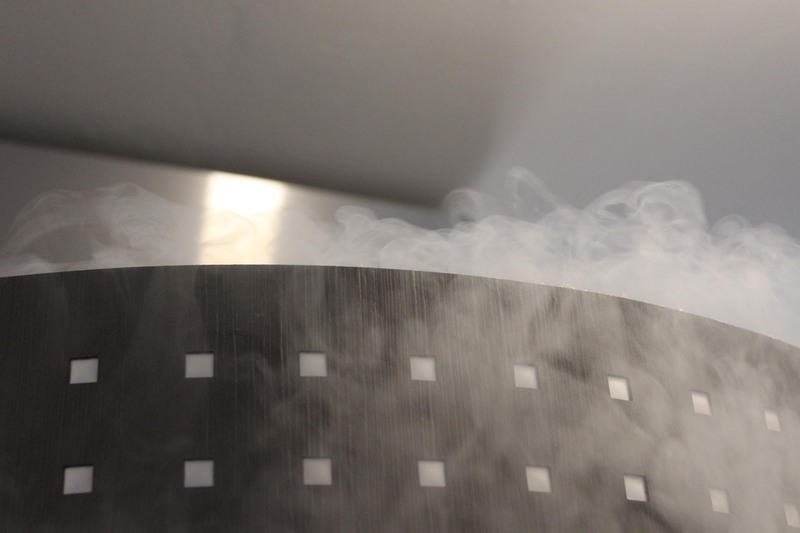 cryotherapy (2 min at ­166°F) and found they are more or less identical, at least in that respect. based on the information at hand. It’s probably not worth overthinking too much at this point. many key take homes from all of this. I’ll try to summarize just a few. profound things we may find out in the future are applicable to humans as well. diseases of inflammation, like arthritis, as well as mood and even depression. mediated by… you guessed it… norepinephrine. increases it. Brown fat generally decreases as we get older, especially if we’re obese. means whole body cryotherapy is probably also effective for this purpose. training, but I’m not really sure. We need more studies to say for certain! such as frostbite. Do what strikes your fancy until better evidence emerges. for informational purposes only and not medical advice. Use this information at your own risk.